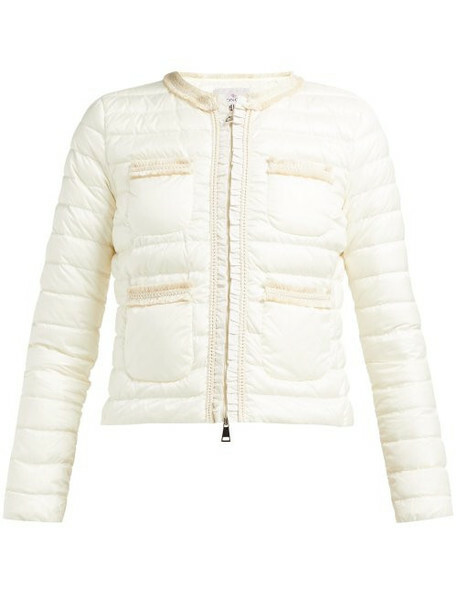 Moncler - Moncler's ivory Wellington jacket is infused with feminine flourishes. The boxy silhouette is crafted from a quilted-down technical fabric and the collarless style is trimmed with frayed and braided accents and finished with a ruffled placket. Wear it over a pale ensemble for a poised weekend edit.